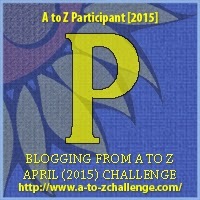 I'm a day behind on the #AtoZChallenge. My post for Saturday did not post for some strange reason. I was away from social media this weekend and couldn't fit it. So bare with me while I catch back up. Tomorrow I plan to create a post for Q and R and be back on track. This post is shameless self-promotion, but if you had a wonderful story you had such an amazing time creating, wouldn't you also want to share it with the world? 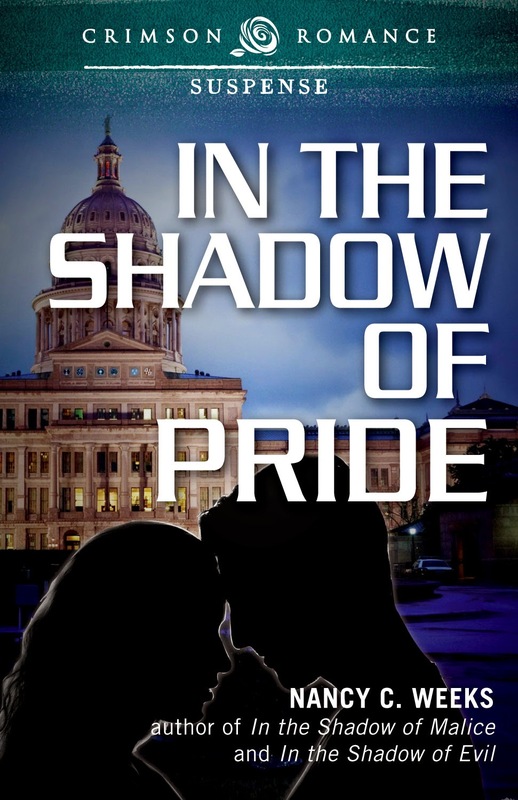 In the Shadow of Pride has just been nominated by InD'Tale magazine for the 2015 RONE Award. Voting Period for the Romantic Suspense category begins next week, April 27 - May 3, 2015. The RONE Award recognizes the very best books in the Indie and Small publishing industry and I'm so very proud that In the Shadow of Pride is on that amazing list. Today, I thought I would just leave you with the blurb and an excerpt. I have to say it took me a long time to get over Mac and Lexie. I fell completely in love with this couple from page one. Honestly, I still dream about them ...explore what their lives are like now that they are together. Yup, my characters become very real to me while I writing their story. Readers constant remark that I have brought them to tears or made them laugh out loud. The only way I could do that is to get inside my characters hearts and souls. So...yeah, it can be a little hard letting that go. I wrote a post about my characters on the release day of In the Shadow of Pride. You can read it here: RELEASE DAY OF IN THE SHADOW OF PRIDE. Lexie Trevena buried her murdered husband, discovered he had cheated on her, and signed to adopt his newborn son—all before noon. Now she just wants to raise her child in the loving, supportive home she never had. The last thing she needs is another man to complicate her life, but her best friends feel differently. Their matchmaking meddling accidentally places Lexie smack in the path of a terrorist who intends to use her as his pawn. The only person who can help her is the FBI agent she holds responsible for her husband’s death. Special-Agent-In-Charge Luke “Mac” McNeil watched his best friend and partner marry a woman he knew was too good for him, but he did nothing to stop the wedding. He stood by as Lexie adopted the cheating jerk’s son. But when someone goes to great lengths to make it appear that Lexie is responsible for launching a drone into the home of a prominent Texas senator, Mac’s conscience finally speaks up, and he fights for Lexie’s freedom ... even though all the evidence leads to her door, and she has never given him a reason to trust her. Can Lexie and Mac find the courage to forgive and trust, or will their pride stand in the way of love, allowing terrorists to bring another devastating attack onto United States soil? With the grace of a trained athlete, he lowered himself over the side until only the tips of his fingers were on the ledge. An instant later, he dropped, landing on his feet. Lexie’s heart pounded like she had just run the 100-yard dash. After a quick glance into the office, she knelt, and holding onto the window, rolled onto her stomach. The instant her feet hit empty space, panic ripped through her and she swung a leg back onto the ledge as her fingers dug into the window frame. God, she couldn’t do this. It was freaking crazy. Lexie dropped. Before she could get out the ear-piercing, girly scream that roared in her head, she landed in Mac’s arms. The impact crushed the air from her lungs. Wrapping her arms around his neck, she allowed his strength and his herbal all-male scent to soothe her. He eased her legs back on solid ground, but she didn’t let go. She couldn’t remember a time in her life when she felt so safe, protected. She raised her chin and met his amused stare. Of all stupid days to wear a skirt to work. As soon as she got out of this mess, it was going to Goodwill. “Let what go, Lexie?” Mac’s hand moved slowly down her back to her waist and pressed her tightly against him. That's all for today. Until tomorrow, be kind of one another.